Day Fourteen of 24 Days of a Baltic Christmas is by Laima, a first-generation Latvian living in Wisconsin. By day she coordinates software development and testing, and much of the rest of the time, she plays with art! 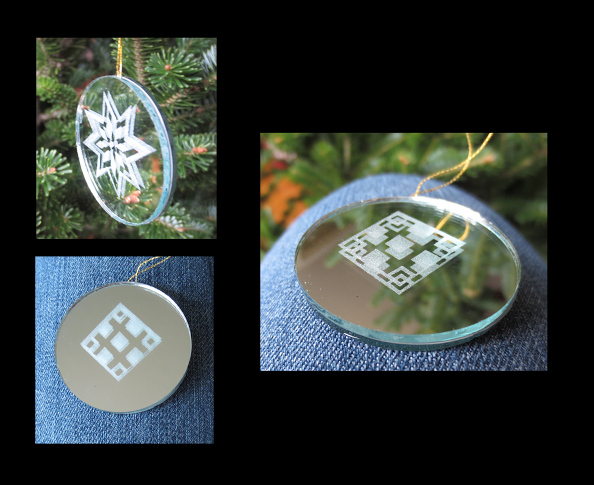 Latvian Christmas ornaments, like many other traditions in the world these days, have been changing and shifting over the years. Originally they tended to be all natural, made from things any person could find while out on a walk: berries, pinecones, straw and the like. Eventually, as you can see by the variety of geometric designs above, with a little bit of creative effort, even "natural" becomes fancier and fancier. You will find straw ornaments like these all over eastern and northern Europe, and I think it would be very difficult to definitively pinpoint the one place where these straw ornaments originated. Not pictured, but worth trying to make if you have some time, are the Latvian puzuri. 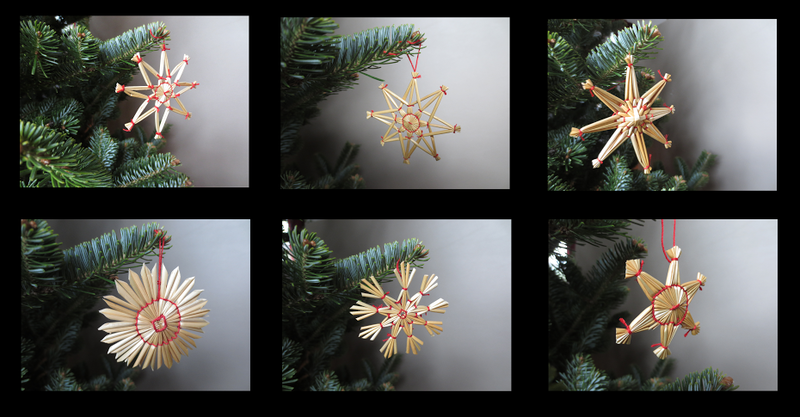 These are a more 3D variation on the straw ornaments. 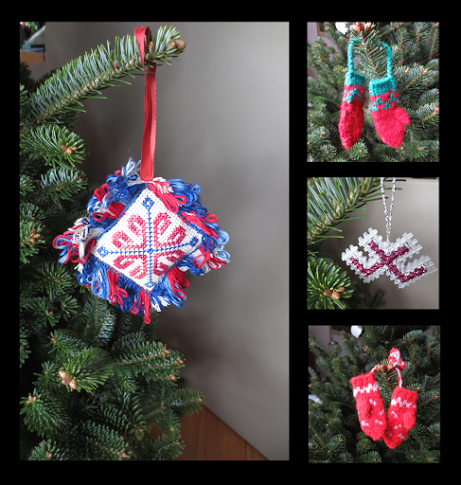 Latvians generally pride themselves on being a resourceful people, so it should come as no surprise that these days a Latvian Christmas tree includes decorations made from many other materials including yarn, string, cookies, beads, wax, and even glass. The geometric designs found in Latvia lend themselves well to all sorts of applications. Also, the various symbolic meanings of the Latvian designs dovetail well with a lot of the symbolism included in the period between Christmas and New Year's. By the way, I don't encourage you to ever try to *photograph* mirrored ornaments, but these guys look pretty great sparkling in a tree. Many variations for Latvian folk costumes exist; the different patterns, different embroidery, and different colors on each figure indicate what part of Latvia each couple represents. However, we don't always have a lot of opportunities to show them off. 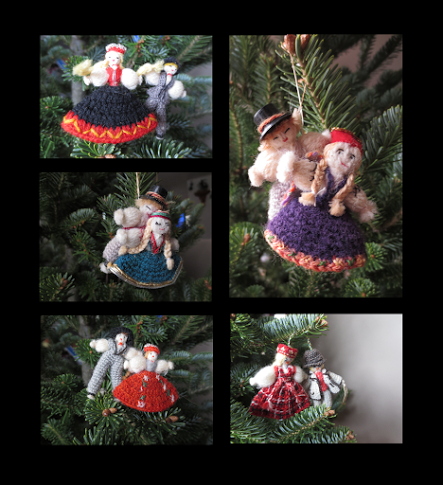 As a result, many Latvians (especially Latvians living abroad) enjoy putting these tiny dancing figures on their Christmas tree. And finally, not pictured, but definitely worth making are some traditional Latvian gingerbread cookies (see Day 5!) to turn into ornaments. Simply poke a small hole in the cookie before you bake it (or right after taking them out from the oven if you have super tough fingers that can take the heat), and later pull string or a ribbon through the hole to add these delicious treats to your tree. Thank you Laima; I think you’ve just described a majority of the ornaments on our Christmas tree this year! Laima documents her beautiful creations on her site, L-A-I-M-A. 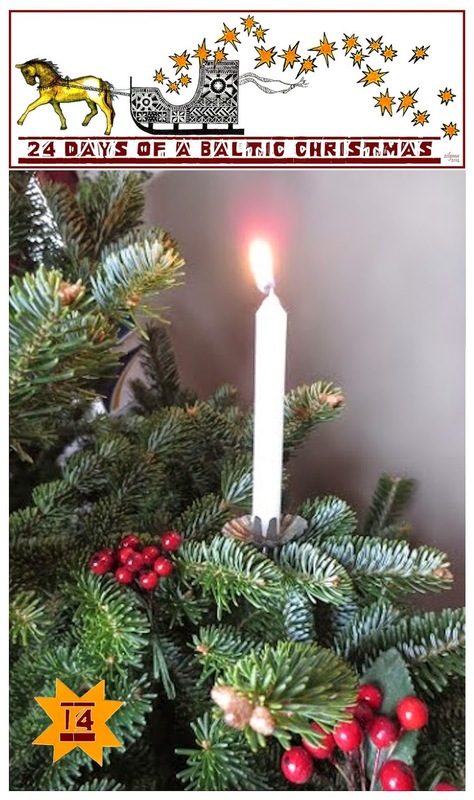 Tomorrow on 24 Days of a Baltic Christmas a fun craft - hope you'll join us! Very Latvian and very beautiful! Loved this post! I too make the mini's for our Christmas tree.